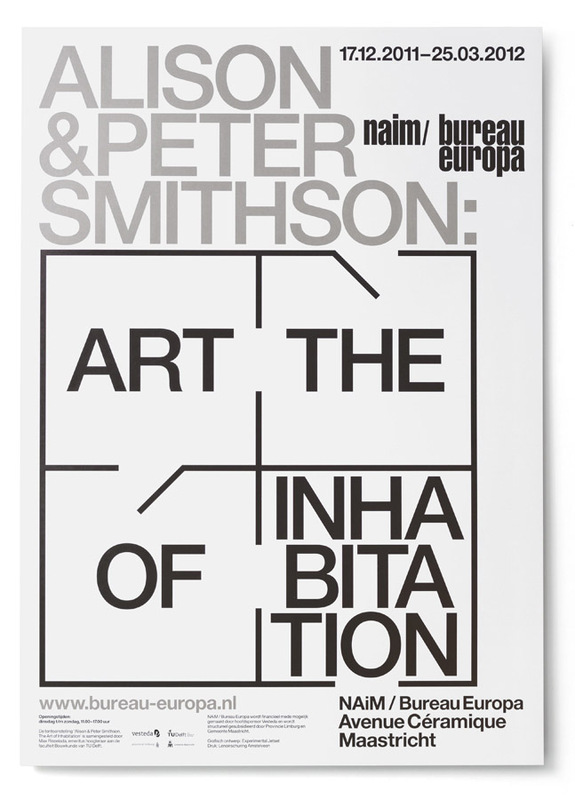 Since 2007, we’ve been responsible for the graphic identity of the Maastricht-based architecture institute NAi Maastricht, which in 2009 changed its name to NAiM / Bureau Europa. 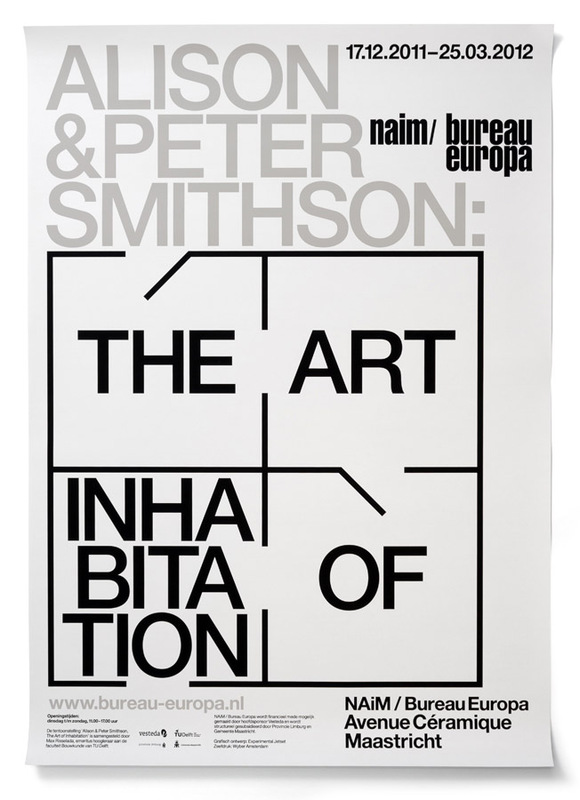 (In 2013, the institute even dropped the NAiM-part, and is now simply known as Bureau Europa). 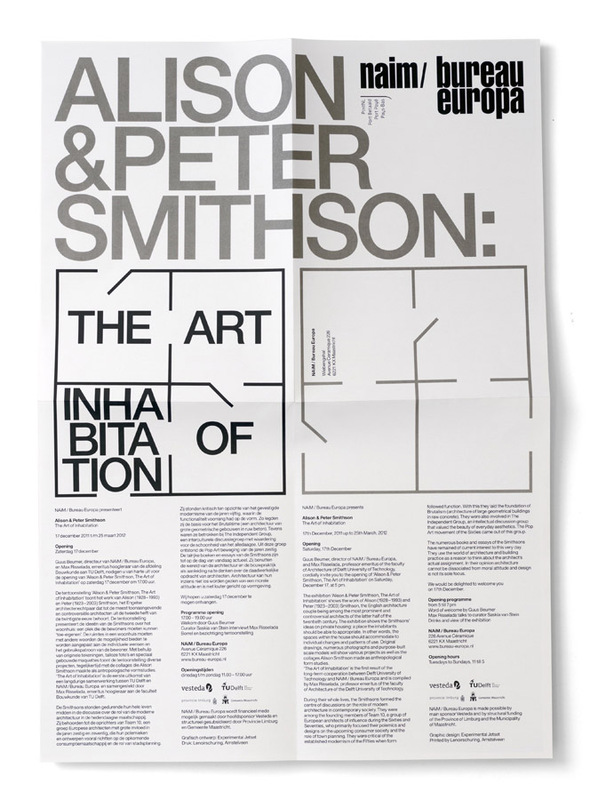 ‘Alison & Peter Smithson: The Art of Inhabitation’ was a reworked version of an exhibition that has been on tour since 2003. 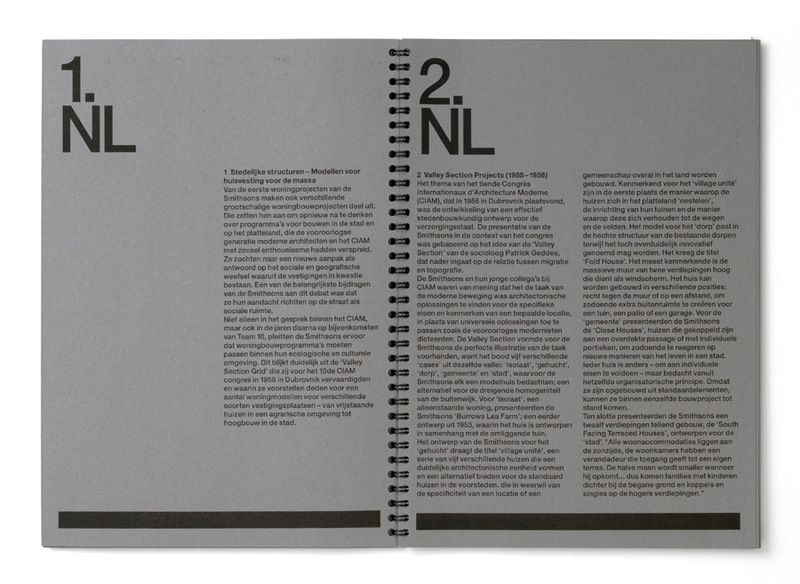 Curated by Max Risselada (of TU Delft), and originating at the Design Museum (London), the show has travelled to The Lighthouse (Glasgow), Witte de With (Rotterdam) and several locations in Spain. 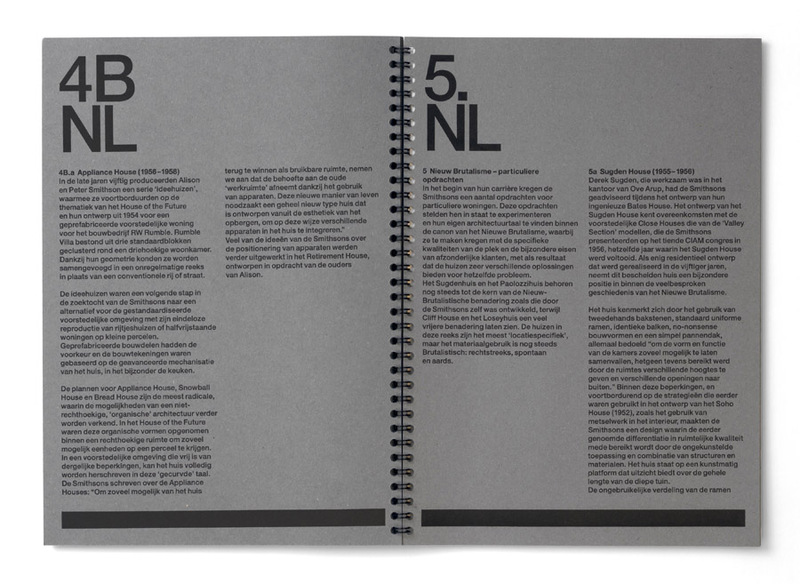 In December 2011, it reached NAiM / Bureau Europa, and we were asked to design some basic items for it. 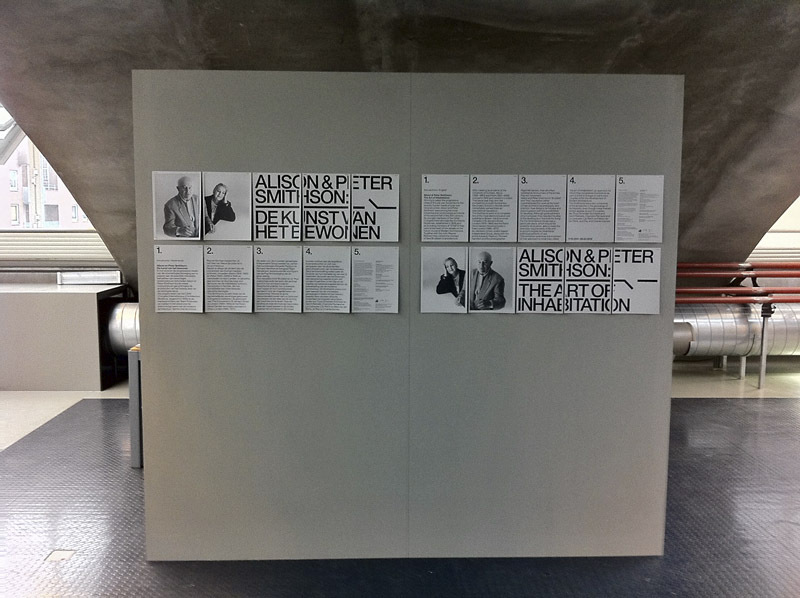 Since it was a traveling show, the exhibition came ‘pre-designed’, with its graphics (captions, etc.) already included. 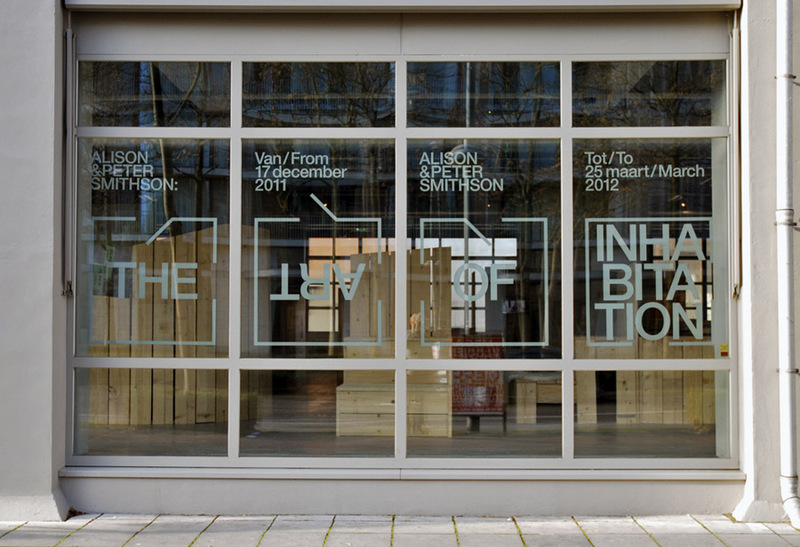 So we weren’t really asked to design any graphic elements in the exhibition itself – rather, we were responsible for the usual, more exterior ‘institutional’ layer: the posters, the invitation, the window lettering, etc. Thinking about the subtitle of the exhibition (‘The Art of Inhabitation’), we thought it would be interesting to use the image of a very basic floorplan, and to let the title literally ‘inhabit’ this floorplan. 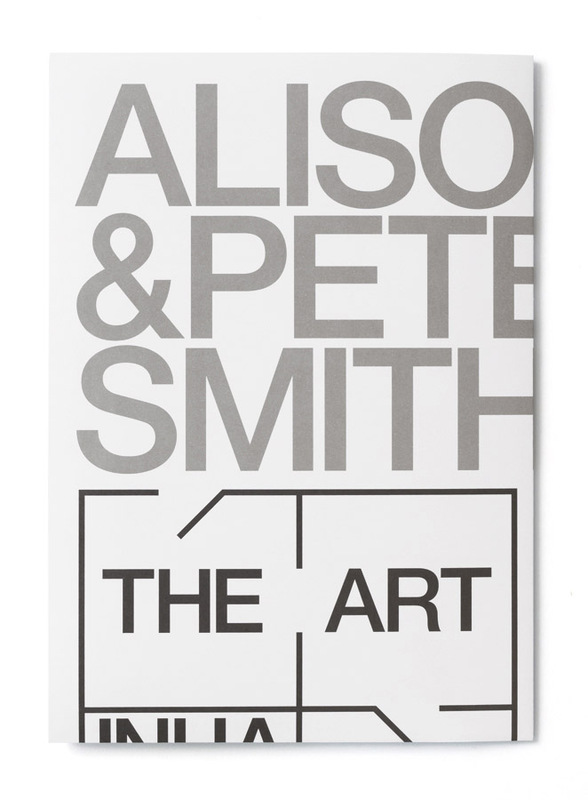 The floorplan was also a way for us to refer to the famous catalogue of ‘This is Tomorrow’ (1956), the Independent Group exhibition in which the Smithsons played such a large role. 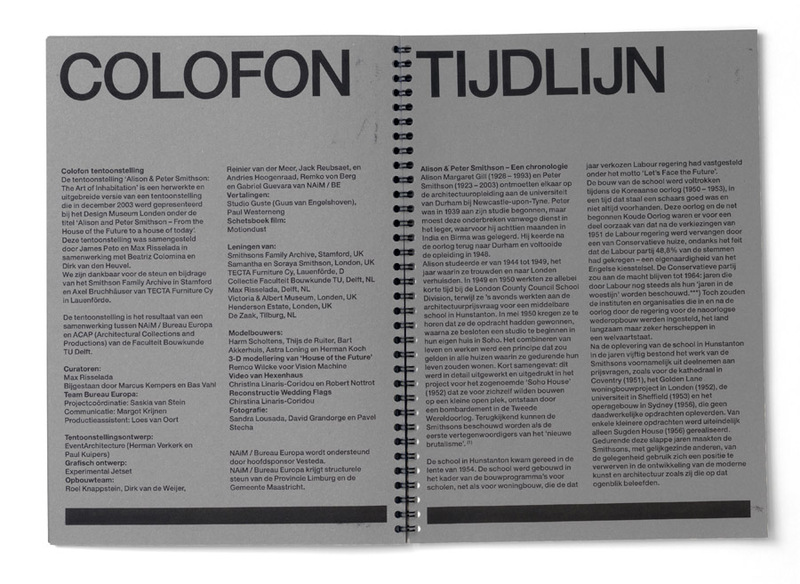 Every chapter of that classic catalogue started with a floorplan – so we thought it would be interesting to refer to to this catalogue, by coming up with our own floorplan. 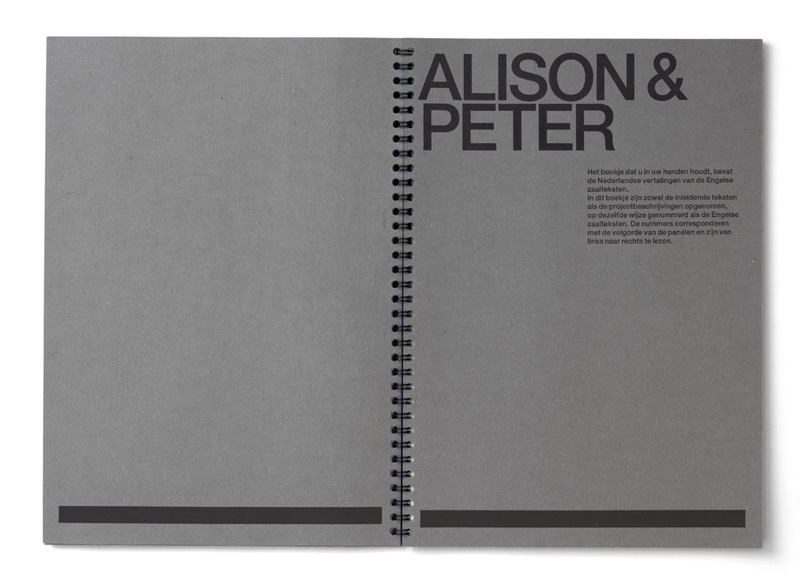 The booklet contained 40 pages (printed on grey paper), and was spiral/wire-bound. 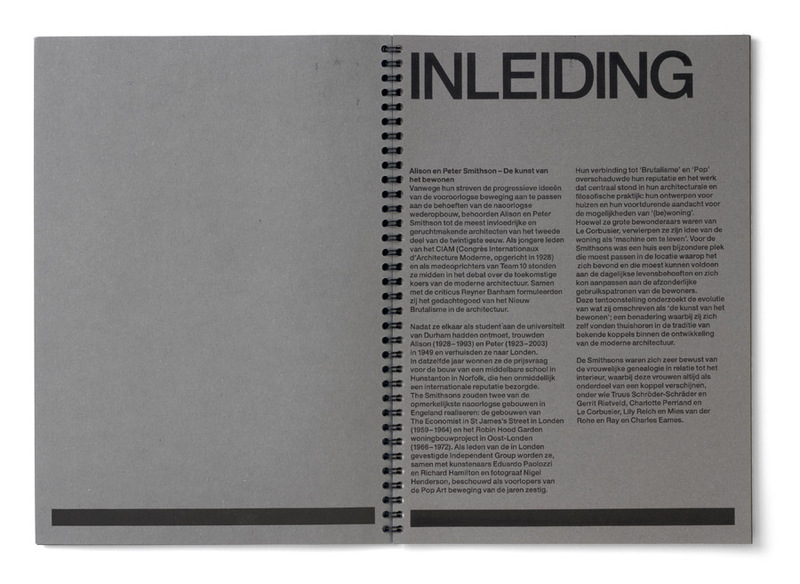 (Apart from the fact that this was the most practical solution, this way of binding also slightly referred to the 1956 catalogue of ‘This is Tomorrow’, which was also spiral-bound). 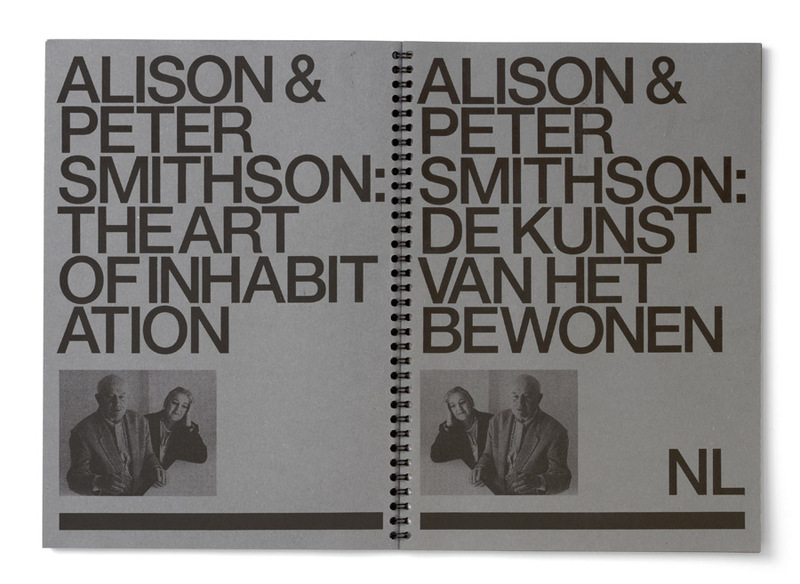 More information about ‘Alison & Peter Smithson: The Art of Inhabitation’, as it took place at NAiM / Bureau Europa, can be found here and here.